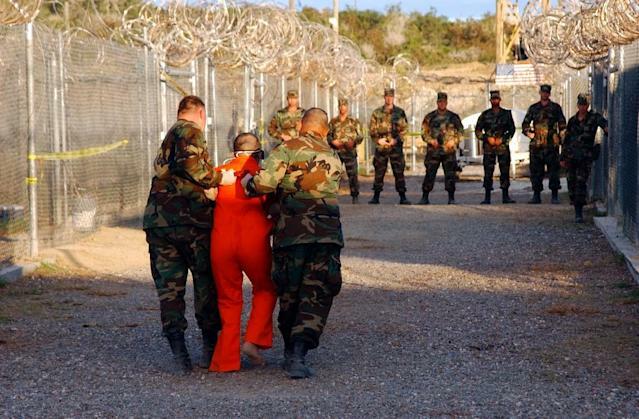 Washington (AFP) - The US military has closed a maximum-security detention center at Guantanamo Bay, an official said Thursday, as the controversial prison's population continues to dwindle. Guantanamo's Camp 5 lockup, built in 2004 at a cost of $17 million, closed August 19 and will be converted into a medical center with a psychiatric wing for detainees, facility spokesman Navy Captain John Filostrat told AFP. Only a "handful" of detainees had remained at Camp 5 after 15 inmates were transferred to the United Arab Emirates last month, the biggest single release under President Barack Obama. The few former Camp 5 inmates are now housed in an adjacent medium-security jail, Camp 6, where they have access to communal areas and computers through which they can Skype family members, Filostrat said. Twenty of the 40 or so detainees now at Camp 6 have been cleared for transfer and are optimistic they may be released before Obama leaves office in January. "It's fair to say there's a sense of anticipation, maybe hope even," Filostrat said. Still, a small number of detainees continue to protest their indefinite detention by hunger striking. 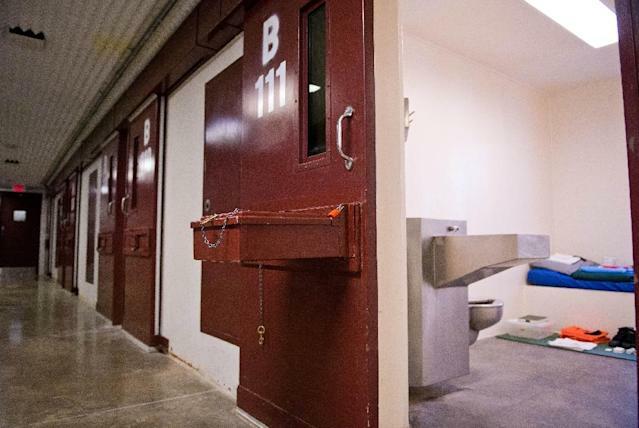 Many have been locked up for more than a decade without any formal charges being brought, with only limited access to lawyers and amid allegations of detainee abuse. The riskiest remaining detainees, including the five men accused of plotting the September 11, 2001 terror attacks, are incarcerated at another, secret prison camp called Camp 7 located elsewhere on the base. Camp 5 once housed non-compliant inmates and hunger strikers. The facility had special equipment in place to protect jailors from "splashing" -- the grim practice of prisoners hurling bodily fluids and excrement at guards. Filostrat said a small number of men at Camp 6 are continuing their hunger strikes and are force-fed, but noted "90 percent are very compliant." Camp 5's closure means the overall guard and staffing force for Guantanamo Bay's entire prison operation will shrink from 1,950 to about 1,550. Most of the reductions come from military police units that no longer will be sent there. Since the September 11, 2001, terror attacks, about 780 inmates have been housed in the US military-run facility which Obama has repeatedly tried to close. In recent months, he has authorized a flurry of transfers of prisoners to other countries -- prompting howls of outrage from Republicans each time. Republican presidential nominee Donald Trump has said he wants to send terror suspects captured in the war against the Islamic State group to Guantanamo, and even supports US citizens being sent there if they are accused of terror offenses. Because the Guantanamo Bay naval base is on Cuban and not US soil, it is not subject to the same federal laws and legal processes as the United States, which is why the administration of George W. Bush opened a prison there. Trump's Democratic rival, Hillary Clinton, has said she backs the closure of Guantanamo. "We are planning for either contingency," Filostrat said. "Whatever the next commander-in-chief wants, we will follow that."